It is well-known that multivariate curve estimation suffers from the “curse of dimensionality.” However, reasonable estimators are possible, even in several dimensions, under appropriate restrictions on the complexity of the curve. In the present paper we explore how much appropriate wavelet estimators can exploit a typical restriction on the curve such as additivity. We first propose an adaptive and simultaneous estimation procedure for all additive components in additive regression models and discuss rate of convergence results and data-dependent truncation rules for wavelet series estimators. 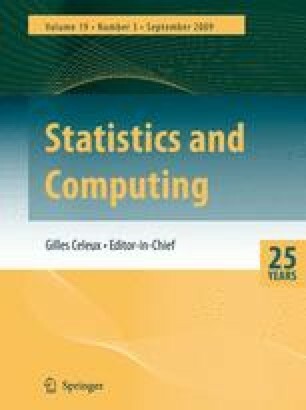 To speed up computation we then introduce a wavelet version of functional ANOVA algorithm for additive regression models and propose a regularization algorithm which guarantees an adaptive solution to the multivariate estimation problem. Some simulations indicate that wavelets methods complement nicely the existing methodology for nonparametric multivariate curve estimation.